There has been an unfortunate incident in Brussels. The blast that happened out of nowhere too so many lives and son many loved ones. Due to this mishap, security everywhere was amped up including the airport Gatwick and Heathrow. Apart from this Gatwick and Heathrow are still stuck on the expansion. Gatwick has recently claimed once more that the commission deciding which airport should be expanded used flawed evidence. This, in other words means that the decision for Heathrow expansion only pending environmental evaluation is flawed too. Triple counting some international passengers who passed through Heathrow. Overstated the impact of a third runway on passenger numbers and long-haul traffic. Wrongly compared the situation with the west coast mainline tendering fiasco. 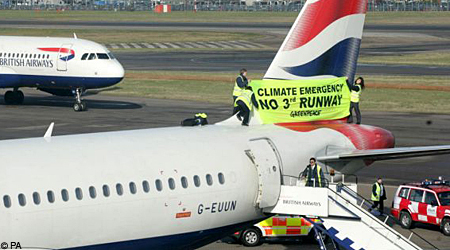 In light of Gatwick’s reproach, Heathrow bosses are trying to get the government’s stamp on expansion decision. This will make all of Gatwick claims void in general. The only way to settle this cold war is to make the decision once and for all. This everyone can make it peace with what is going to happen and may be pay proper attention to actual important things like Brussels incident. Also Read: Why Meet and Greet Parking is the better choice? Previous PostWhy Meet and Greet Parking is the better choice?Next PostHow to Compare Prices and Book UK Airport Parking Deals?